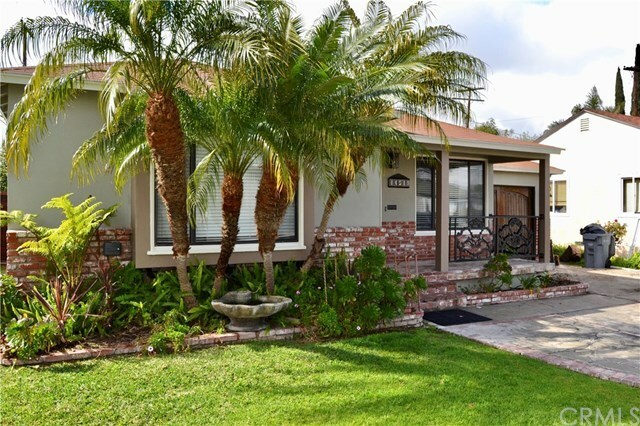 14519 Haas Avenue, Gardena, CA.| MLS# IG19084045 | Southern California Homes for Sale. Search properties Southern California. SCORCHING HOT NEW LISTING! Entertainer's Delight!!! Located in the Heart of Gardena. Newly Remodeled Mid Century Modern Home w/ Permitted Accessory Dwelling in the back. This Home Offers 3 Bedrooms 1 three quarter Bathroom Inside Main House, Complete with Newly Remodeled Kitchen that Opens to the Large Living Room, Front and Backyard Landscaping. Large Open Living Room with Original Refinished Oak Wood Floor. The Living Room Opens to the Dining Area, Fresh Paint, and New Light Fixtures. Kitchen is Complete with New White Cabinets that Offer Tons of Storage. Gorgeous New Quartz Countertops, . The Bathroom Has Been Completely Remodeled as Well, Including New Sink Vanity, Freshly Tiled Shower, Tile Floor, and New Fixtures. This 3 Bedroom Home Offers Large Bedrooms, Fresh Paint and Ceiling Fans as well. Exterior Features Include: Newer Roof, Custom Backyard Landscaping Complete with Covered Attached Patio, Outdoor Covered Patio that's perfect for Entertaining (BBQ and Hot Tub Included). Property is complete with Fully Permitted Back House that Offers 368 sq ft of Living Space that Includes its own Bathroom and Shower.